Discussion in 'Amps and Cabs' started by mvd18969, May 10, 2008. We all have them, the amp rig that we picked up very cheap and it sounds killer! Show it proudly and tell us what it cost..
Below is my favorite "sleeper" rig that I own. Its a Crate GT50 head (powered by 4 JJ 6v6 power tubes) and a Marshall 4x10 cab. The tone of this rig is pure 80s metal heaven. Ratt, Dokken, Scorpions, you name it. I call this rig the Marshall killer. It smokes just about anything that a player playing this type of music would gig with. I have basically the same rig and it is KILLER! Its an Ampeg VL502 and I am also using a Marshall 1965B, 4 X 10" cab with a rear baffle that I made, with a rear port. I have a Canadian Marshall JCM 800 2204 that I love but this thing can smoke it in several categories, not that the Marshall isn't great for what it does. New Fender Vibro Champ XD. 5W tube/modeling hybrid with 8" speaker - $250 new. Sounds a little boxey and small when in the same room, but still a wonderfully versatile good feeling practice amp. Stick a SM57 in front of it and it records great. I actually way prefer it to a POD or other modelers. I have also been taking it to band practice and running through PA. Still bring the big iron for gigs. Be sure you don't lose that ignition key!!! I had my eye on an Ampeg VL-503 combo a few weeks ago. I waited too long to pull the trigger (was deciding between that, a 5150 combo, and a Peavey Ultra 212 combo) and someone beat me to it. It's a shame that these Lee Jackson designed Crates and Ampegs didn't really catch on when they were released. IMHO, they are the most underrated hi gain amps out there. Lee Jackson put a spare key inside of every VL amp. If that is missing too, it is easy to simply jumper the internal switch. I have never used my key. It doesn't prevent anyone from stealing the amp or changing the settings. It only keeps people from turning them on when you are not there. 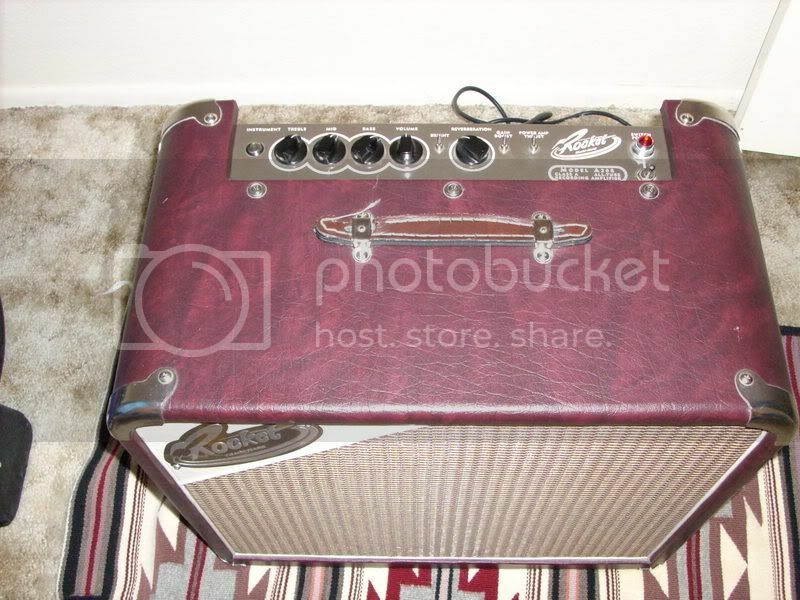 Yes, there was actually an "ignition switch" on the front of the amp that you needed a key to use. it basically was a lock on the electronics so that no one could try it when you went for dinner after the soundcheck. I actually owned one for a short period of time; I didn't bond with it like I did with the Crate so I sold it. Here is mine - this little "living room rig" really smokes!!!! Mind you I won't be playing any gigs with it but it's fun for home. I dont have a pic, but most of my amps are "sleepers"
I practice with an Alamo Embassy combo that I have converted into a Head. 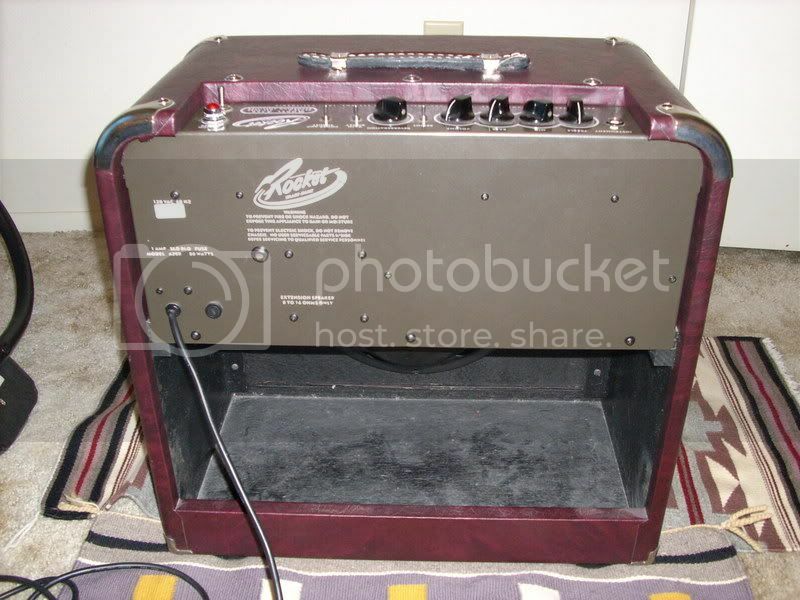 I also play with a Ceriatone Marshall 18 watt TMB Ef86 combo that I built a pine 1x12" combo for. Well the ef86 shakes like a rattlesnake, so I made the combo into a pine head. Looks weird though, the chassis is mounted vertically, which makes for a tall head cab. Sounds great though! 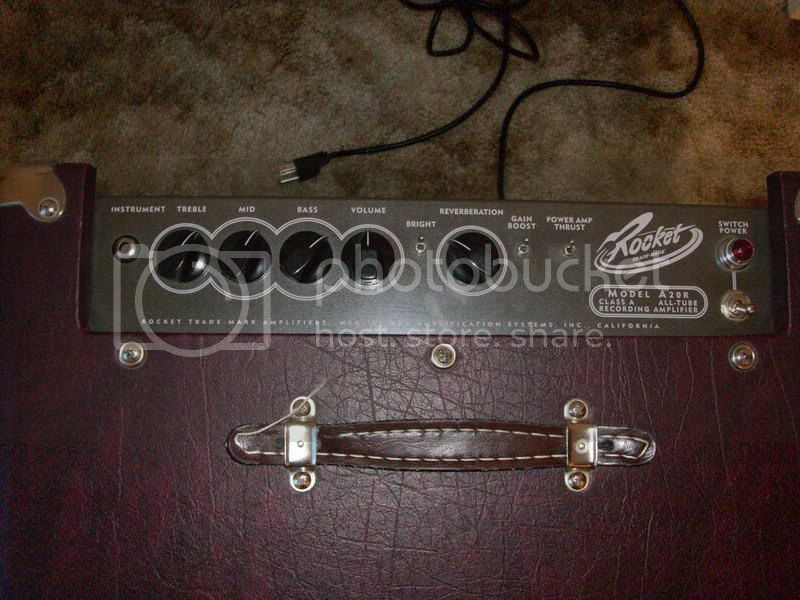 HA I used to play the same zoom multi effect into a valve jr head and a behringer 4x12" cab. Great little rig. With a mic, I bet you could gig with it! Peavey Delta Blues 1x15 with a Fulltone OCD and Fatboost. All I really need. The Zoom is a pretty cool little processor isn't it? The more I think about it, in a pinch and with a mic you may be right. The VJ has ba**s for 5 watts. JC-120 pushed with an MI Audio Blues Pro, laugh all you want but it delivers the goods in a pinch. Peavey Valve-king 112. I've owned some well respected amplifiers including some boutique stuff, but this is my all time favorite and I'm not ashamed to admit it. No mods at all. It's prefect for my taste straight out of the box. Only weakness is the re verb is not that great, but pedals take care of that. I don't know if this is considered a sleeper, but this amp has the most dynamic tone. Running one el34 in class A at about 20 watts. There were less than 100 made before ADA went out of business. I wanted one so bad when they came out. Nice! I think the Rocket is a bit too nice looking to be a sleeper. If the amp was ripped to shreds or falling apart, or rebuilt into a different cab or something, then it would be a sleeper.